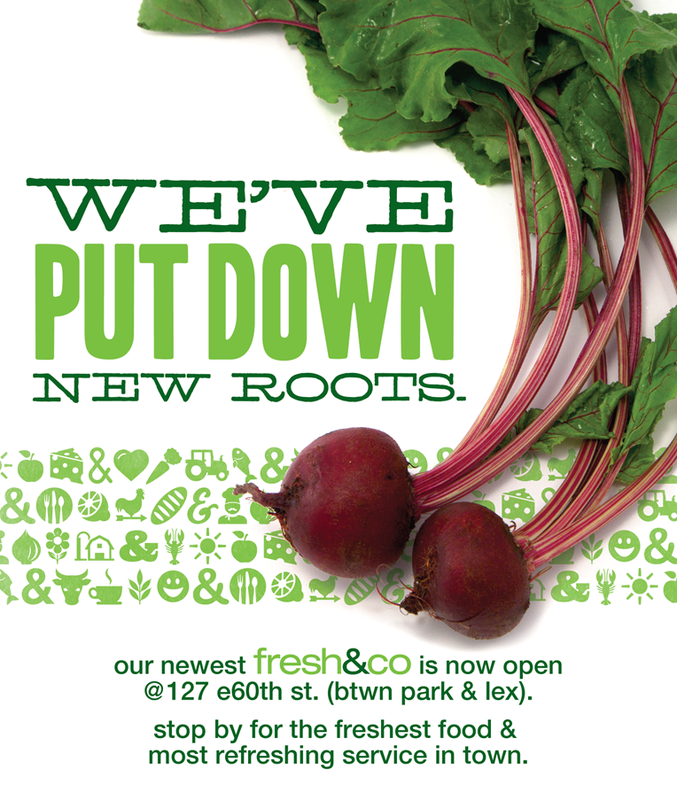 Fresh&co is opening their sixth store at 127 East 60th St (btwn Park & Lex.) To celebrate this new store, Fresh&co will be offering a free side salad or spindrift beverage to customers who purchase a chef-designed entrée salad or Panini. To redeem this special offer, customers must have one of several thousand cards that will be distributed at the store starting on Thursday, June 20. Additionally, the first 200 visitors will receive a limited-edition fresh&co tote bag. For more information visit Fresh & Co or follow them on Facebook or Twitter. Fresh&co, New York City’s favorite healthy fast food eat-in or takeout restaurant offer fresh, wholesome food, much of it sourced locally. On Fridays, produce is purchased from Union Square Greenmarket and served as the signature salad bar option for the day. Fresh&co regularly introduces exciting chef-designed menu items. This summer, customers can enjoy the Garden Gazpacho salad, Watermelon & Summer Radish side salad, and the Figgy Goat baguette sandwich, among other seasonally-inspired options. The store will be open from 7:00AM – 9:00PM, Monday – Friday and 7:00AM – 8:00PM, Saturday & Sunday. This entry was posted by Rosemarie on Friday, June 21st, 2013 at 5:38 am	and is filed under American/Comfort, Bakery, Coffee Shop, Dessert, Events, Manhattan, Midtown East, Organic/Green, Upper Eastside, Vegetarian/Vegan. You can follow any responses to this entry through the RSS 2.0 feed. You can leave a response, or trackback from your own site.